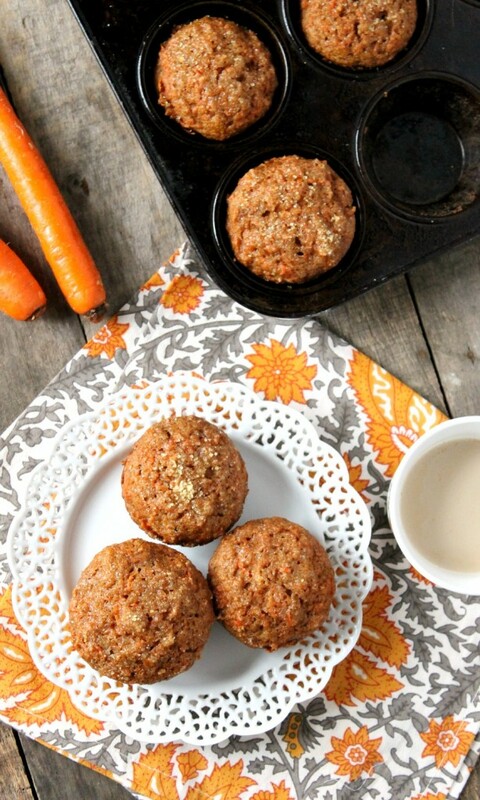 Hearty and moist, these whole wheat carrot muffins make for the perfect breakfast. 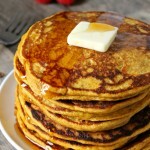 They’re naturally sweetened and super easy to make! When I don’t know what to make for breakfast, I usually make one of two things. Oatmeal or muffins. As you can imagine, I tend to opt for the latter. You can’t beat the simplicity of oatmeal (or how cheap it is), but you can’t beat the flavor, convenience, and heartiness of muffins. I’m not gonna lie. I used to think that people only made muffins with whole wheat flour if they wanted to play hockey with ‘em. Obviously, now that I primarily use whole wheat flour for baking and cooking, my views have changed. 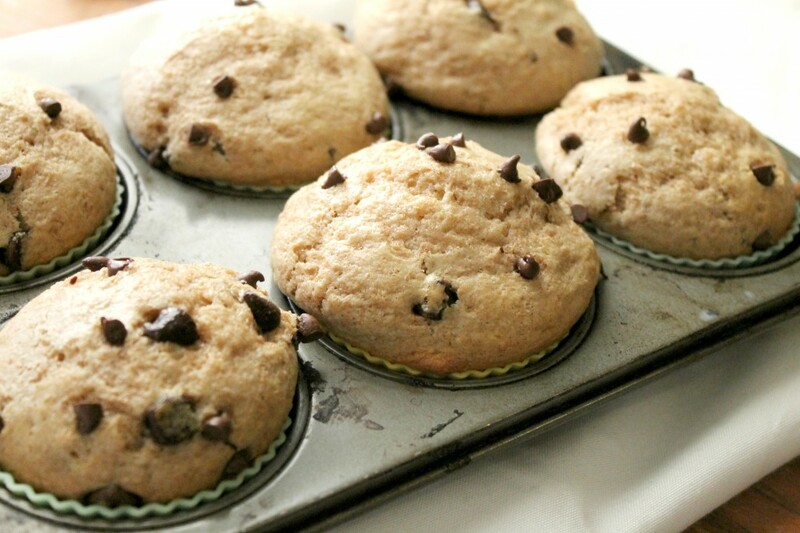 Because I know how moist, hearty, and filling a muffin made with whole wheat flour can be. Case in point: these carrot muffins. 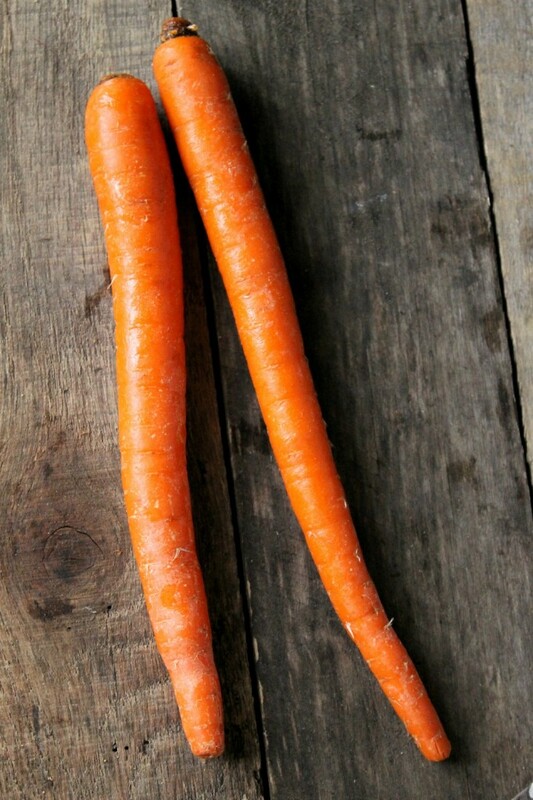 Not only are these babies super moist, they are actually bursting with the flavors of yummy carrots and fall spices. I’ll admit it. I’m a bit of muffin maniac. I mean, my idea of an ideal breakfast is muffins with fresh fruit and a smoothie. Does that not sound amazing? 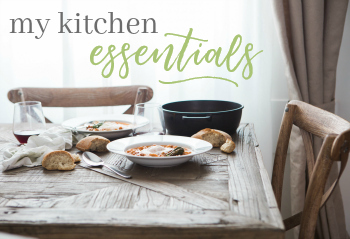 It’s also a simple breakfast anyone can make (as long as they’ve got an oven and a blender, but still). 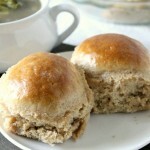 I’ve adapted this recipe from 100 Days of Real Food. I’ve made Lisa’s recipe probably about 5 times, but, in my opinion, it was missing some much needed flavor and height. It was also super heavy on the butter. Don’t get me wrong—I love butter as much as the next foodie. But an entire stick for 12 muffins? It seems a little excessive to me. So I’ve decreased it down to 3 tablespoons, which I’ve found to be the perfect amount. 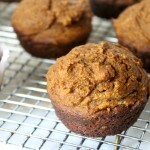 I also added some of my favorite fall spices, like nutmeg and allspice, to give the muffins more flavor. I also just wanted to point out that it takes a lot less time to make these carrot muffins if you’ve got a helper. It only took my sister and I five minutes to make the batter and put the muffins in the oven (not counting the carrot-shredding time). Seriously. 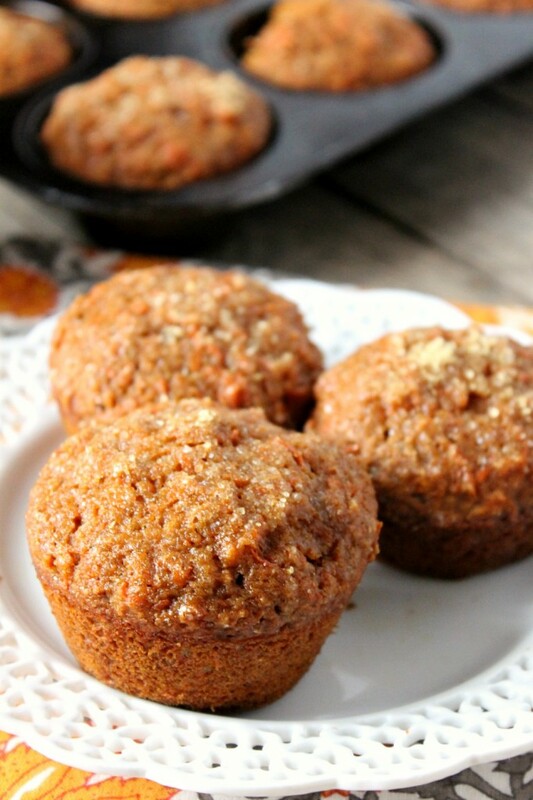 These carrot muffins freeze extremely well! Simply put the muffins you plan on freezing in a gallon bag, and pop ‘em in the freezer. Just make sure the muffins are fully cooled first. They should last in the freezer for up to three months. 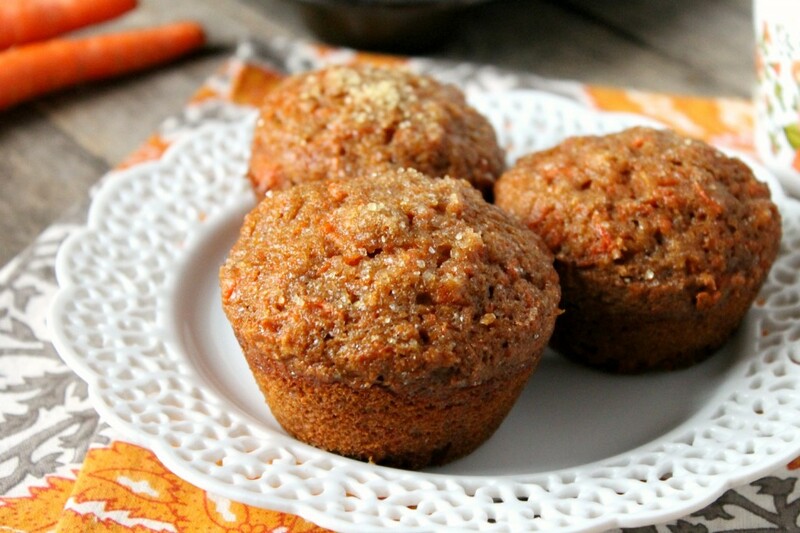 If you’re a fan of moist, sweet, flavorful muffins, you’re really gonna love these whole wheat carrot muffins! Preheat oven to 350 degrees F. Line a muffin pan with paper or silicone muffin liners (or grease the pan). 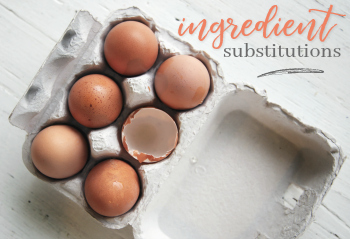 In a large bowl, combine the whole wheat flour, baking soda, cinnamon, ginger, nutmeg, allspice, and salt. Whisk thoroughly. 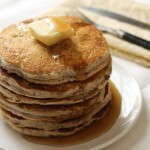 In a small bowl, combine the melted butter, honey, egg, vanilla extract, and applesauce and whisk to combine. Pour the wet ingredients into the dry ingredients. Stir just until combined. Fold in the shredded carrots, being careful not to over mix. Scoop batter into your prepared muffin tin. Bake for 18-20 minutes, or until a toothpick inserted into the center of a muffin comes out clean. Let cool a few minutes before serving. 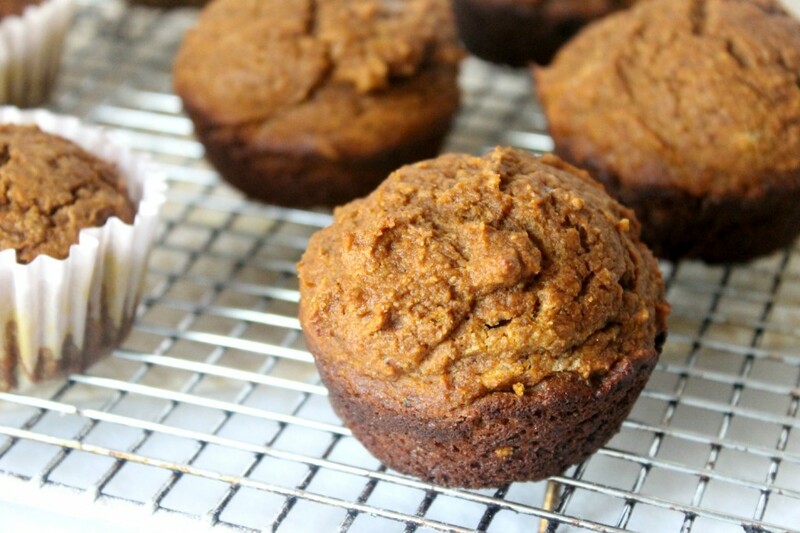 Try my Whole Wheat Pumpkin Muffins next! 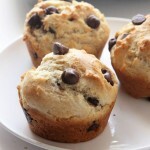 Or my Whole Wheat Chocolate Chip Muffins! Oh my these look delicious! 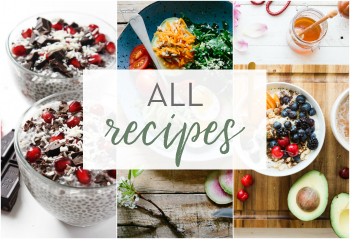 I’m pinning it so I can add them to my breakfast menu! Thanks Heather! 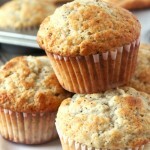 Oatmeal has nothing on these muffins! These look SO good! Thanks so much for sharing your recipe. Pinning. I love carrot cake…I imagine I would feel the same about carrot muffins! Thanks for sharing these with us at #FoodieFridays! Pinning and stumbling! 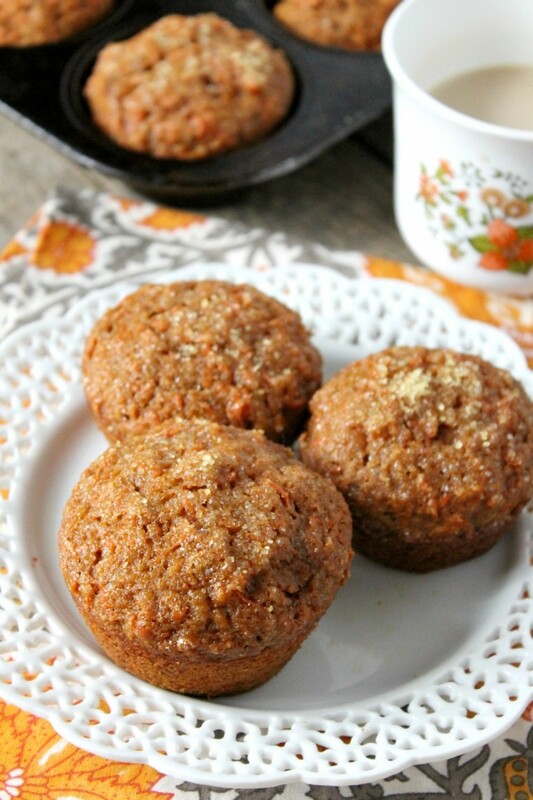 These whole wheat carrot muffins look incredibly delicious and surprisingly healthy too.. a recipe I must make! This look so good! 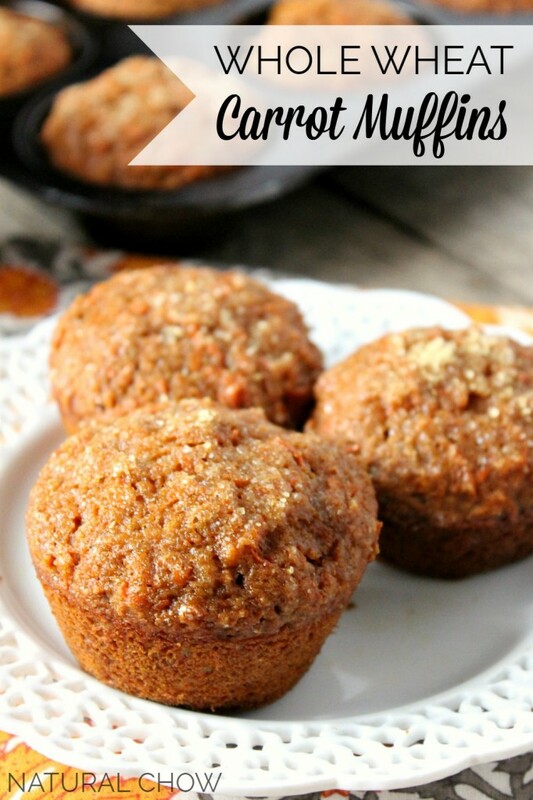 Can you believe I have never tried carrot cake, but I am going to make these muffins! Can’t wait! These look great, just perfect for the lunchbox! 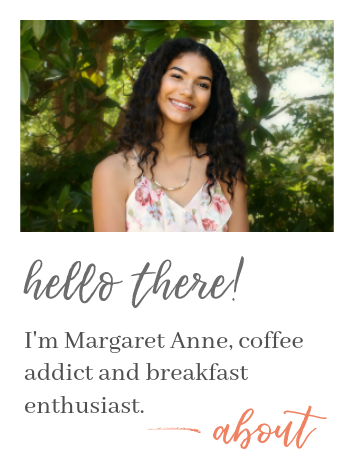 I am so excited to look at your recipes they are great and you are awesome food photographer. Thanks so much for the kind words, Carmody! I just got these plates a little while ago, but it was love at first sight! Lol! I’ll have to try these for sure! Now I’m hungry! These look awesome. 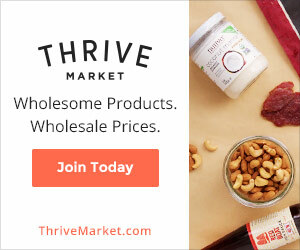 Just wondering, I usually buy unsalted butter. How much salt would I need to add to compensate for this? Hi Katherine! I think you could get away with not adding any additional salt, but if you want to play it safe, maybe add 1/4 teaspoon of extra salt.